* In the second installment of her #ShortFilmSundays, Awkward Black Girl and Insecure (HBO) creator Issa Rae has hand-selected Solely. The raw and provocative portrayal of one girl’s choice was featured on Rae’s popular YouTube as part of her platform to introduce filmmakers of color. 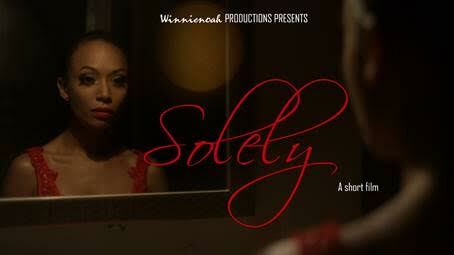 Solely is a day-in-the-life of a young dancer and her heart-wrenching experience dealing with an unwanted pregnancy. Alone in her decision, a conflicted Lexi stands firm in her resolution while attempting to find solace and grace in its wake. In its raw depiction, Solely is an unflinching portrayal of a woman exercising control of her body. “Solely is, at its core, an experiential journey, laying bare the emotional turmoil of arguably one of life’s most dif­ficult choices,” explains director Anna Nersesyan. Anyone who has had the experience depicted in ‘Solely’ knows the relevance of telling this story. The pain the character endures by her own choosing is incredible. Solely is a touching short enactment of an exquisitely painful procedure that still happens today. Starring, produced & written by Madia Hill. Directed by Anna Nersesyan.